Regal Air is an Alaska air taxi and flightseeing company located and operating out of Anchorage Alaska. We have been in business since 1982, offering year round flightseeing and air taxi services to Alaskans and our visitors. With over 35 years in business, and an unsurpassed safety record, Regal Air upholds the most stringent maintenance practices and hires only the most experienced flight crew. From the start of our business we have strived daily to improve our company and the experience that we are able to offer our customers. From being the first Lake Hood operator with a computerized scheduling and flight tracking system, or offering noise reducing intercom headsets on every flight, we want to be your first choice in Alaskan aviation every time. Regal Air has a fleet of DeHavilland Beavers, Cessna 206s, and a Piper Navajo Chieftain available for chartered services, flightseeing, and seat fare destinations. The Regal Air staff is committed to give our customers the best experience possible every day, whether we are looking after flight safety, sharing our scenic state, or just trying to make your trip to Alaska more memorable, the Regal staff strives to be courteous and professional. Watch our videos in You Tube. Regal Air began in the summer of 1982 with a single pilot named Bill Kunkler and a Cessna 185. Regal Air is currently owned and operated by Mike Laughlin and his wife Chloe. The office is office manager Tony Bannock. 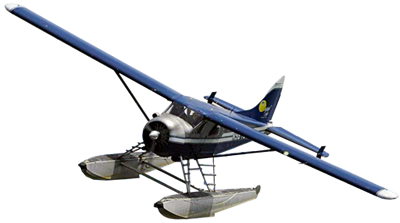 Our fleet includes 2 DeHavilland Beavers, a Cessna 206 on floats, 2 Cessna 206s on wheels & a Piper Navajo Chieftain. Regal Air is located on the north shore of Lake Hood, at 4506 Lakeshore Drive, in Anchorage, Alaska. Regal Air has one of the best safety records in the business. Listen to what our customers are saying about Regal Air. Find out what’s new with Regal Air.